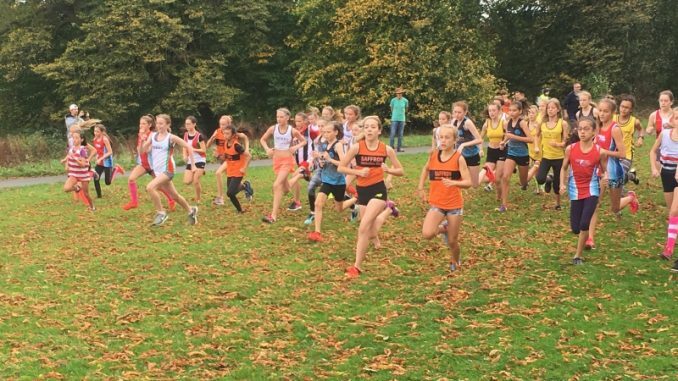 Well done to everyone who took part in the first North Midlands Cross-country League race on Saturday, October 13th. It turned out to be a very pleasant afternoon as the rain disappeared and the sun came out! The performances also seemed to improve as the weather warmed and the wind lessened…… a little. 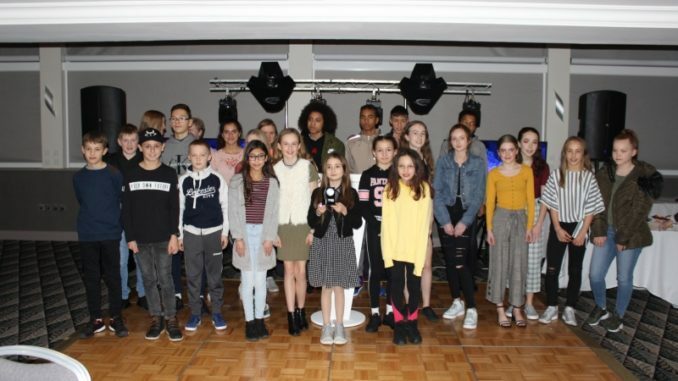 Congratulations to Josh Adkin who came first in the under 11 boys’ race and to Eleanor Nelson who was 36thin the under 11 girls in her first run for Saffron AC. Other good runs were put in by Amy Aldridge who finished 5thand Cahan Frost who was 23rd. The under thirteen boys and girls completed two excellent team performances and set us up strongly for a possible league championship at the end of the season. Both teams finished in 3rdplace on the day. The boys were only 13 points behind the winners and the girls only 3 points short of victory. 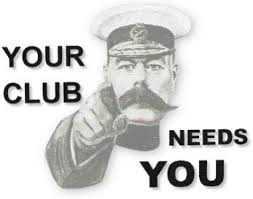 If we can get a good turn out turn in the next fixture at Kettering on November 10thwe may take over the lead. The girls’ team was particularly strong on Saturday. 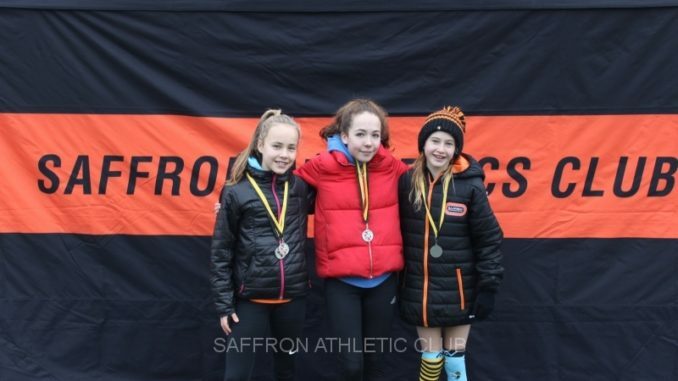 Poppy Adkin was an excellent 3rd, Eve Rowley was 13th, Mya Acharya 14thand Matilda McGrath 17th. That is brilliant team packing. Well done girls. The boys’ positions were Ryan Butler 12th, Robert Wardlaw 14th, Dylan Izzet 29thand Josh Pegg 44th. A great team performance! Well done. 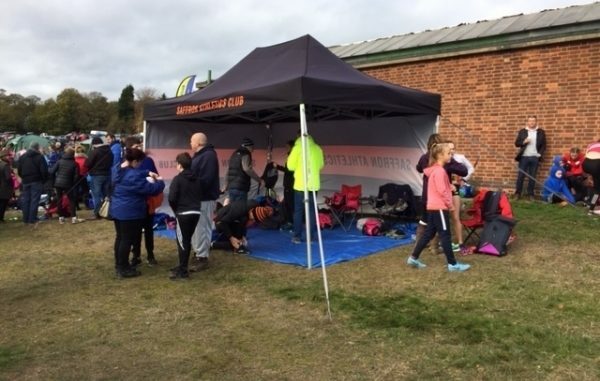 In the older age categories McKenzie Smith-Byrne finished an excellent 11thin the under 15 girls and Charlie Combey was 23rdin the under 17 boys. These were very good performances in very strong fields. So well done to everyone and thankyou to the parents, grandparents and just plain friends who helped to give us a good platform on which to build in the season ahead.